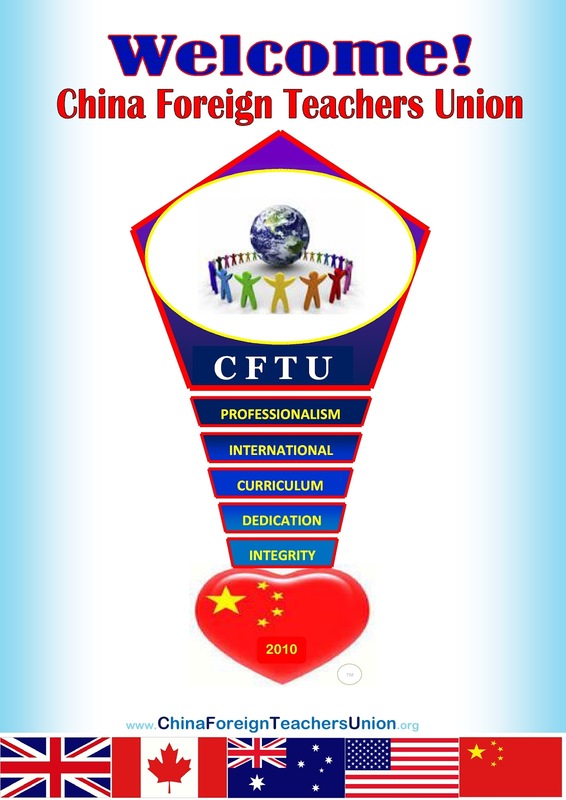 China Foreign Teachers Union: CFTU: Logo Change Possible - What Do You Think? Freddy is hard at work restoring all of our deleted posts with minor revisions (see the post below about our new politically correct requirement) He assured us last night that at least 3 dozens of the posts and references would be restored by December 1st. As you all just recently witnessed with the shut down of Google and gmail over the last three weeks, communication links in China are at the mercy of others who we are trying to placate without selling our souls. In those old, old times, there lived two brothers who were not like other men, nor yet like those Mighty Ones who lived upon the mountain top. They were the sons of one of those Titans who had fought against Jupiter and been sent in chains to the strong prison-house of the Lower World. The name of the elder of these brothers was Prometheus, or Forethought; for he was always thinking of the future and making things ready for what might happen to-morrow, or next week, or next year, or it may be in a hundred years to come. The younger was called Epimetheus, or Afterthought; for he was always so busy thinking of yesterday, or last year, or a hundred years ago, that he had no care at all for what might come to pass after a while. For some cause Jupiter had not sent these brothers to prison with the rest of the Titans. Prometheus did not care to live amid the clouds on the mountain top. He was too busy for that. While the Mighty Folk were spending their time in idleness, drinking nectar and eating ambrosia, he was intent upon plans for making the world wiser and better than it had ever been before. He went out amongst men to live with them and help them; for his heart was filled with sadness when he found that they were no longer happy as they had been during the golden days when Saturn was king. Ah, how very poor and wretched they were! He found them living in caves and in holes of the earth, shivering with the cold because there was no fire, dying of starvation, hunted by wild beasts and by one another–the most miserable of all living creatures. Prometheus made no answer; but he had set his heart on helping mankind, and he did not give up. He turned away, and left Jupiter and his mighty company forever. As he was walking by the shore of the sea he found a reed, or, as some say, a tall stalk of fennel, growing; and when he had broken it off he saw that its hollow center was filled with a dry, soft pith which would burn slowly and keep on fire a long time. He took the long stalk in his hands, and started with it towards the dwelling of the sun in the far east. “Mankind shall have fire in spite of the tyrant who sits on the mountain top,” he said. He reached the place of the sun in the early morning just as the glowing, golden orb was rising from the earth and beginning his daily journey through the sky. He touched the end of the long reed to the flames, and the dry pith caught on fire and burned slowly. Then he turned and hastened back to his own land, carrying with him the precious spark hidden in the hollow center of the plant. He called some of the shivering men from their caves and built a fire for them, and showed them how to warm themselves by it and how to build other fires from the coals. Soon there was a cheerful blaze in every rude home in the land, and men and women gathered round it and were warm and happy, and thankful to Prometheus for the wonderful gift which he had brought to them from the sun. It was not long until they learned to cook their food and so to eat like men instead of like beasts. They began at once to leave off their wild and savage habits; and instead of lurking in the dark places of the world, they came out into the open air and the bright sunlight, and were glad because life had been given to them.